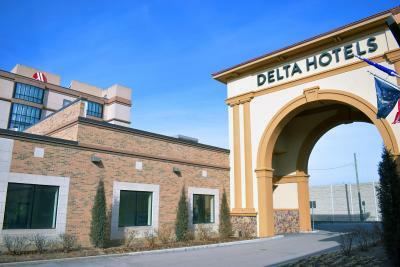 Lock in a great price for Delta Hotels by Marriott Indianapolis East – rated 8 by recent guests! Very clean...staff was excellent! Room was very comfortable and beautifully remodeled. I give it 5 stars! Will definitely stay there again! The rooms were exceptionally clean and everyone was friendly. It was very nice and modern. The staff were friendly and helpful. When we realized there was no microwave, the morning manager offered to let me use one of theirs. The workout room was renovated nicely. Staff was friendly and super helpful, hotel and room were very clean! מארחים אדיבים בייחוד אוקטביה, אבל גם האחרים מאד משתדלים. נראה שהמקום חדש והצוות מאד משתדלים. יש להם אווירה איטלקית. בירה פירוני כמו שצריך. החדר מחודש לגמרה, אבל יש עדיין שאריות של מה שהיה שם קודם. Delta Hotels by Marriott Indianapolis East This rating is a reflection of how the property compares to the industry standard when it comes to price, facilities and services available. It's based on a self-evaluation by the property. Use this rating to help choose your stay! 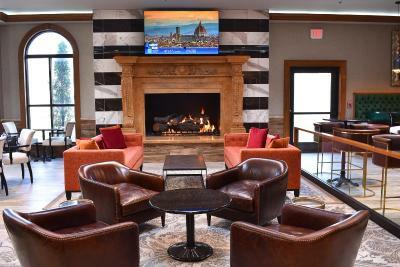 Less than 15 minutes’ drive from the Indianapolis city center, this hotel offers guest rooms with free WiFi and flat-screen TVs. 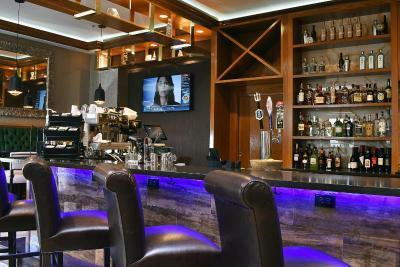 An on-site restaurant and bar is available at the property. 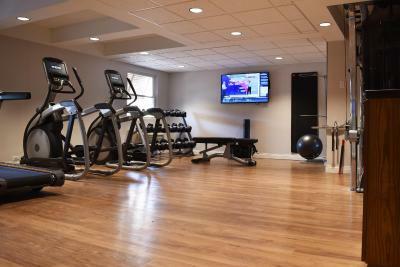 Guests can enjoy a workout in the on-site fitness center including a peloton bike. 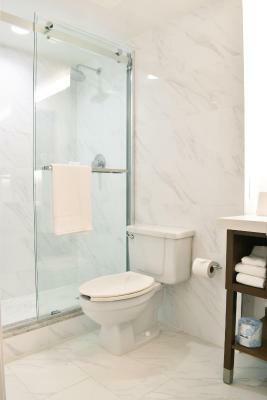 Laundry facilities is also available to all guests. 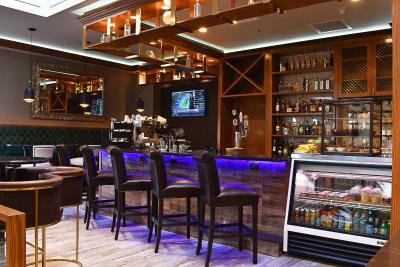 Located off Interstate 70 and Interstate 465, this hotel is 4 miles from Washington Square Mall. Indiana University - Purdue University Indianapolis, Lucas Oil Fieldhouse and the Indiana Convention Center are 15 minutes’ drive from this hotel. 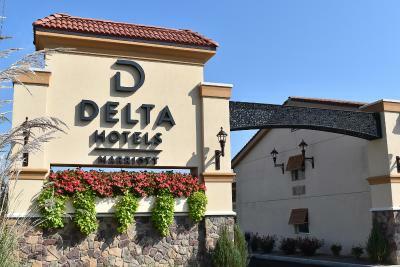 When would you like to stay at Delta Hotels by Marriott Indianapolis East? This double room has a dining area, tea/coffee maker and air conditioning. 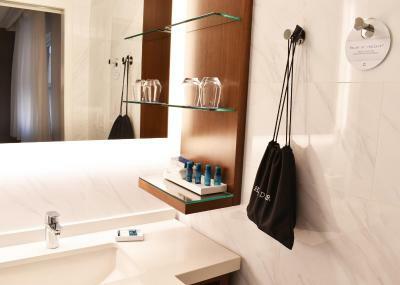 House Rules Delta Hotels by Marriott Indianapolis East takes special requests – add in the next step! Delta Hotels by Marriott Indianapolis East accepts these cards and reserves the right to temporarily hold an amount prior to arrival. No restaurant or even snack area. Smelled bad. Like smoke. Doors were dirty and dented. There was no microwave in the room. But that’s not that big of a deal. This was one of the best 2 star hotels I’ve ever stayed in. For the price, this is a bare bones place. It has been renovated somewhat, but everything is just topical. Low ceilings, tight halls. No microwaves, no ice, no common space except the bar. For the money, stay at the adjacent Marriott or Fairfield Inn.